If you have asthma, you know it’s often hard to avoid triggers like pollen, pet dander, and dust. Even coming indoors is not enough to alleviate your symptoms. Indoor air is often just as polluted as the air outside. But, it is possible to limit your exposure to asthma triggers inside the home just by using your air conditioner. The filter on your air conditioning is capable of removing large amounts of mold, dander, pollen, and other contaminants from the air. Air conditioners can also help reduce the humidity inside your home in warm weather; Moisture in the air makes it easy for mold and mildew to flourish in your home. If you or someone in your family has asthma or another respiratory condition triggered by mold spores, this can be a big problem. Air is pulled into the air conditioning system and is then forced through a series of blowers, compressors, filters, condensers, evaporators, and coolers. 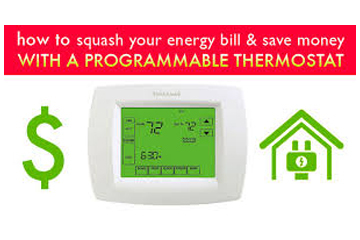 This creates the cooled air that is then blown into your home at whatever temperature you’ve set on your thermostat. The air keeps circulating through the system, so it’s important to maintain the filters on your unit to ensure the air that comes into your home is always as clean as possible. If the filter isn’t replaced or cleaned regularly, you risk letting contaminants into the house, compromising the indoor air quality and creating problems for asthma sufferers in your home. The best way to avoid asthma triggers and keep the air inside your house cleaner is to be vigilant about maintaining your air conditioner. There are plenty of things you can do on your own to ensure good indoor air quality. Clean or replace your air conditioner filter once a month. Check the existing filter or system owner’s manual first—some filter models are reusable and can be cleaned with mild soap and water and then put right back into the unit; other kinds of filters are disposable and will have to be replaced. Choose a day that you’ll remember (like the first day of the month) or set a monthly reminder on your Smartphone or computer. Dust and vacuum frequently to reduce indoor pollutants and cut down on the contaminants that passes through your system. Have the unit serviced by a professional once a year. Try to plan these visits in the spring, before the pros’ busy season when prices are lower and HVAC technicians have greater availability. This will also guarantee that your air conditioner is in top shape before the heat of summer sets in. A technician will check coolant levels, make sure the coolant is clean, examine mechanical parts and may perform a thorough system cleaning. 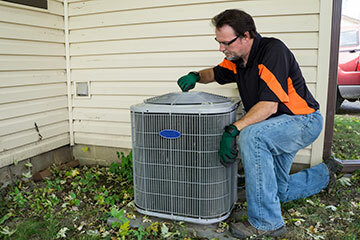 An HVAC professional will also check cooling coils for mildew and mold, inspect the blower for signs of corrosion, remove dirt and debris, clean or replace the filter, and clean out the drain line. You can extend the life of your HVAC system by taking just a few minutes each month to perform a few simple inspections and cleaning duties. And, if you are ready to install or replace a heater or air conditioner our friendly and experienced team know heating and air conditioning systems inside and out. They’ll take the time to study your home, understand your heating and cooling requirements, show you all of your options and assist you with finding the quality home comfort system that best meets your family’s needs and budget.